Melania Trump always looks gorgeous and she is always well dressed. 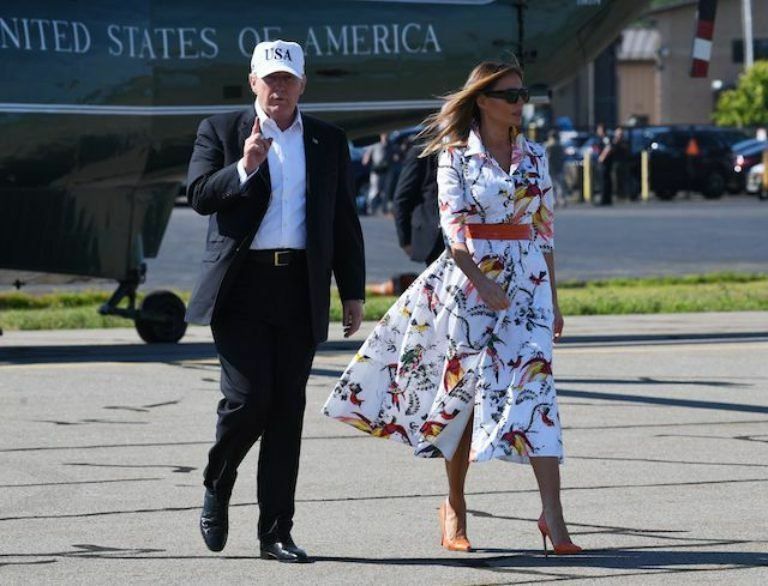 First Lady was perfect on Sunday in a pretty floral dress while boarding Air Force One in Morristown, New Jersey, with President Trump. The first lady looked perfect in the white button up 3/4 length sleeve dress that was covered in a floral print and went down to her knees. 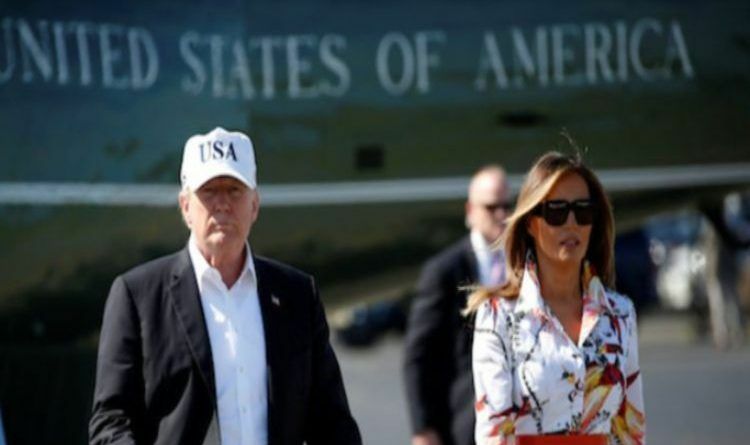 She completed the great summer outfit with loose hair, sunglasses, an orange leather belt and matching high heels on her way back to the White House following a weekend in Bedminster, New Jersey. Melania Trump wears Manolo Blahnik pumps. She also wears a parrot-print dress from Kate Middleton’s favorite designer, Erdem. The dress is on sale for $456, down from its original price of $1,288. 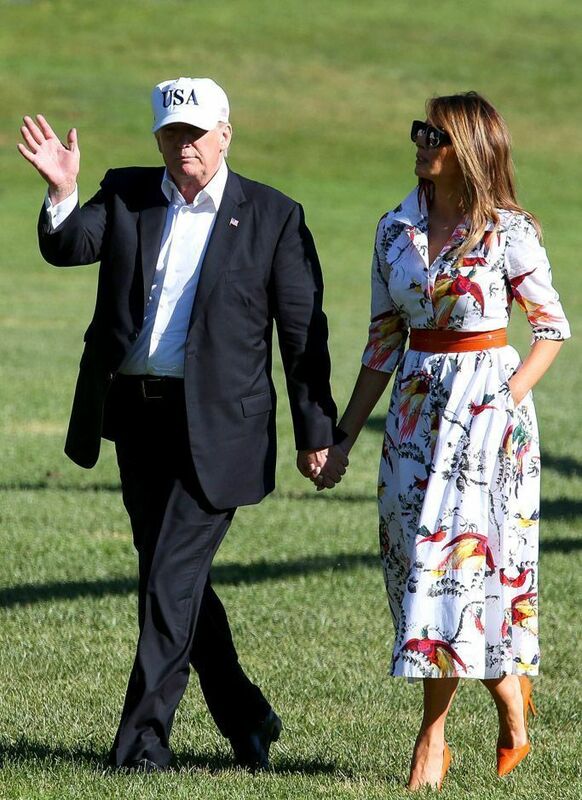 I really admire Melania and her great fashion sense she’s so beautiful and elegant and knows how to make a statement world’s apart from Michelle Obama who thought wearing outfits with big loud flowers was a good look. Grace, poise, elegance, and intelligence is what our First Lady Melania is and represents so well overall. Couldn’t have a better First Lady to represent the USA. This outfit exceeded my expectations! How about yours? Scroll down to leave a comment below!